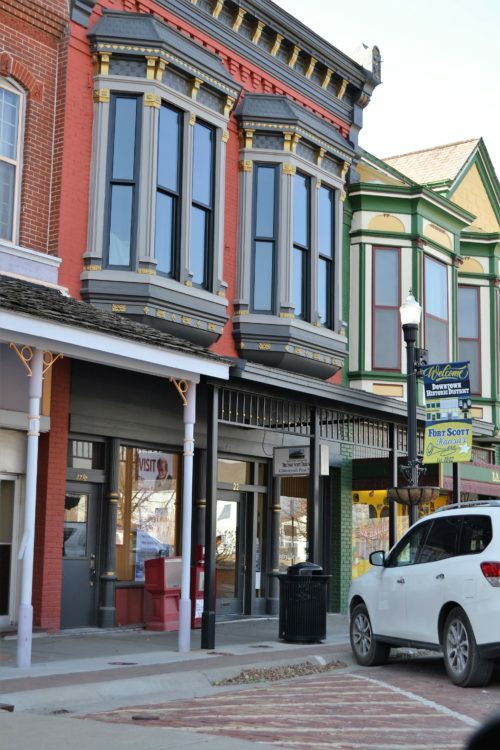 The Southeast Kansas Community Action Program (SEK-CAP), will accept applications for the Tenant Based Rental Assistance (TBRA) program until 4:30pm on April 30th, 2019. SEK-CAP expects to have enough eligible applications by April 30th, 2019 to fully obligate the funding for this grant year. SEK-CAP will issue another press release to notify the public when the application process and waiting list is reopened. 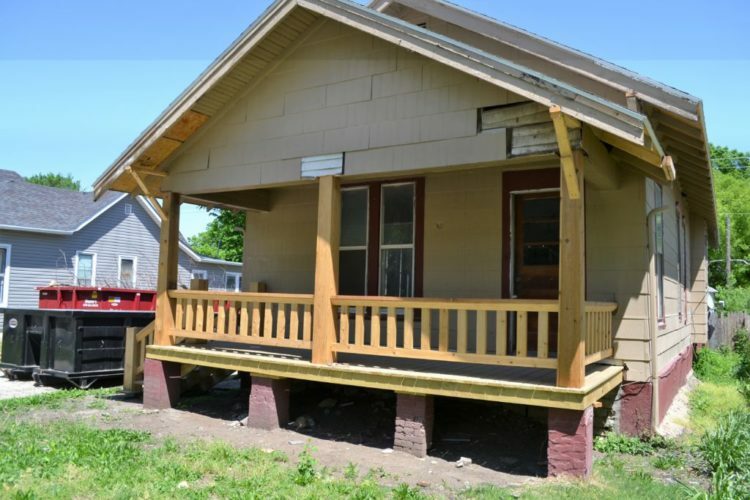 The TBRA Program, funded through the Kansas Housing Resources Corporation, assists qualifying homeless individuals and families with rental subsidies, as well as security and utility deposits. Participants can receive rental assistance for up to two years in the counties of Allen, Bourbon, Cherokee, Chautauqua, Crawford, Elk, Labette, Linn, Montgomery, Neosho, Wilson, and Woodson. For more information about this program, please visit http://sekcap.housingmanager.com or call (620)724-8204. This is an Equal Housing Opportunity. ### ___________ The Southeast Kansas Community Action Program is a 501 (c) (3) private, non-profit organization serving twelve southeast Kansas counties. SEK-CAP is headquartered in Girard and was created in 1966 to combat poverty. The organizational mission is to address the causes and effects of poverty by uniting staff, individuals, families, and community partners to provide quality, comprehensive services through compassionate, respectful relationships. Programs include Head Start, Early Head Start, Housing, Community Engagement, and General Public Transportation. Contact the SEK-CAP central office at 401 N. Sinnet or by dialing 620.724.8204. Visit the website at www.sek-cap.com. Fort Scott — Employees of Fort Scott Presbyterian Village will observe the founding of Presbyterian Manors of Mid-America this month as the company celebrates 70 years of providing quality senior services guided by Christian values in Kansas and Missouri. Each Presbyterian Manors of Mid-America campus will have their own celebration with residents and employees during April acknowledging the importance each play in making life at Fort Scott Presbyterian Village, the way you want to live. Fort Scott Presbyterian Village will observe Founder’s Day on April 18, 2019 by having a cook out for the tenants and employees, along with live Music performed by Mr. Richard Mowen for all to enjoy will having lunch. Presbyterian Manors of Mid-America’s roots go back to 1947. Alice Kalb, a widow from central Kansas, appealed to a Presbyterian Church organization to establish a home for seniors. Her vision laid the foundation for the first Presbyterian Manor community in Newton, Kan., and inspired others to do even more. Today PMMA remains true to the spirit of Alice’s vision, providing quality senior services guided by Christian values. Alice’s dream has turned into a network of 17 senior living communities across Kansas and Missouri, with Fort Scott Presbyterian Village joining the system in 1994. PMMA, with its more than 2,400 residents, remains true to its core and mission: to provide quality senior services guided by Christian values. For more information about Fort Scott Presbyterian Village, contact Becky Kellum, marketing director, at 620-223-5550 or rkellum@pmma.org. Tiny houses are the rage on TV shows, and a local investment corporation has jumped on the band wagon. Six tiny houses, ranging from 375 to 600 square feet, have been built on the former KOA Campground at 215th and Native Roads, just north of Hwy. 54. 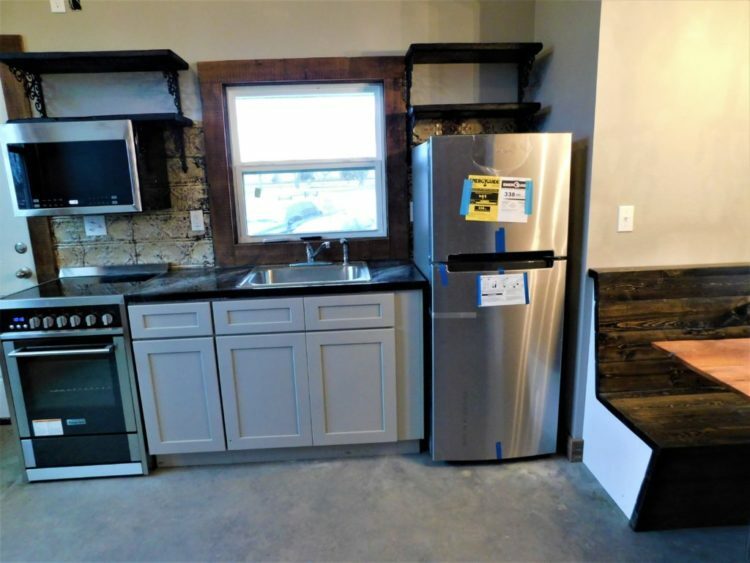 “We have four (tiny house) floor plans, all have room for four people,” said Pat Wood, who is the contact person for Yellow Brick Road Investment, owners of the property. “One-half (the tiny houses) will be long term (rentals), one-half will be Airbnb (vacation rentals),” he said. Wood has used local demolition contractor Johnny Walker for items that have been used on the tiny houses. 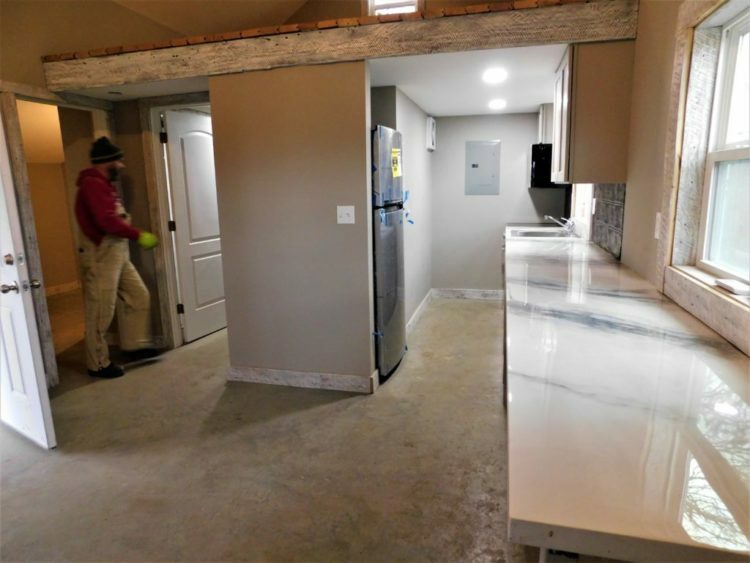 “We have reclaimed items…sliding doors, interior trim, kitchen backsplashes, shower surrounds, the majority of vanities and mirrors,” he said. The name of the property is Crosslands Camping and Cabins. “But we needed to generate some income,” he said. Wood is a member of the corporation called Yellow Brick Road Investment, with Kevin Stark as the president. Wood can be reached at 620-224-7163. Work began on the project in March 2018, and should be completed soon, Wood said. There are also 54 sites for camping on the property, in a different area. “Next, we plan to do some more work at the campground and get the clubhouse fixed up,” Wood said. 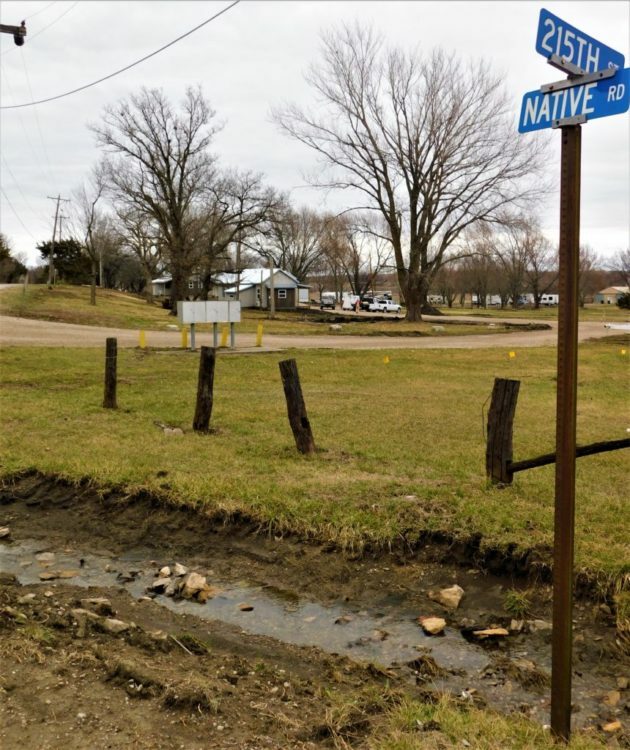 The tiny houses are located at the intersection of 215th and Native Road, north of Fort Scott. 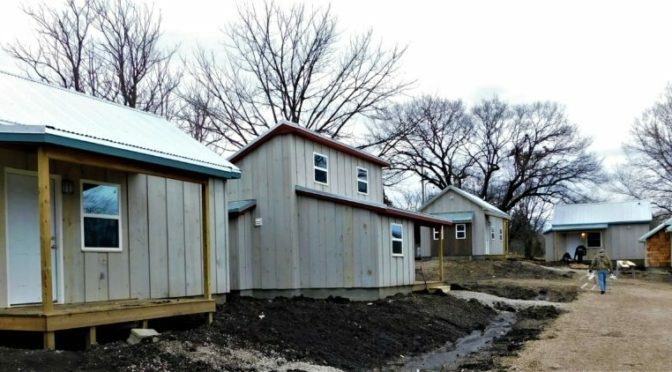 Five of the six tiny houses are shown on March 14. They are projected to be finished in the near future, Wood said. 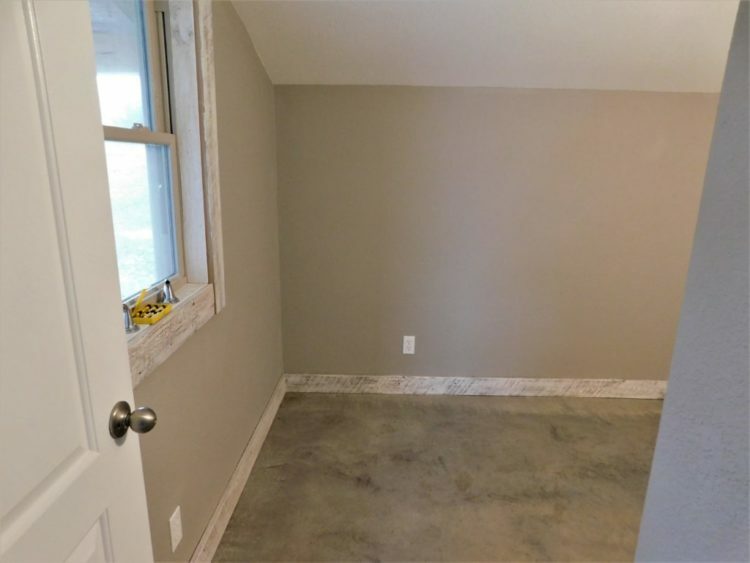 Pictured is the largest floor plan, 600 square feet, on the left, and the smallest, 375 square feet, on the right. Mike Chipman, a sub-contractor, puts finishing touches on the largest of the tiny houses on March 14. Shown is the kitchen area, with the bedroom and bath to the left. The kitchen/living room of the largest tiny house. 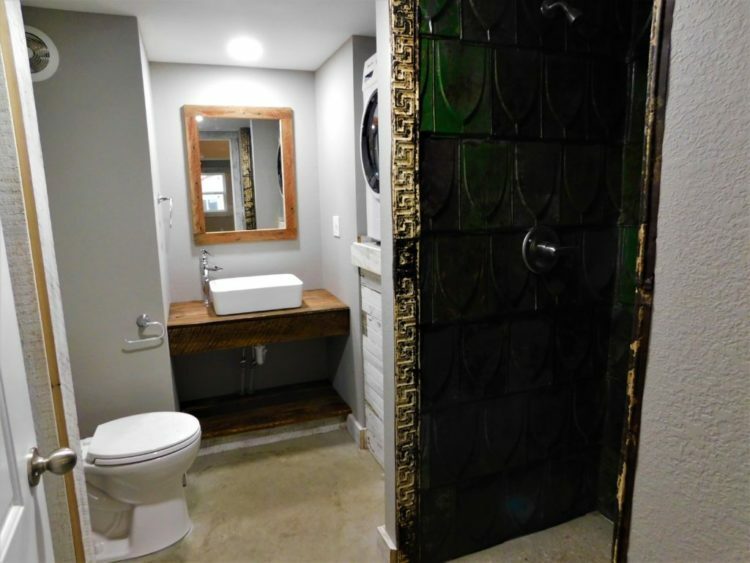 The bathroom of the largest tiny house. 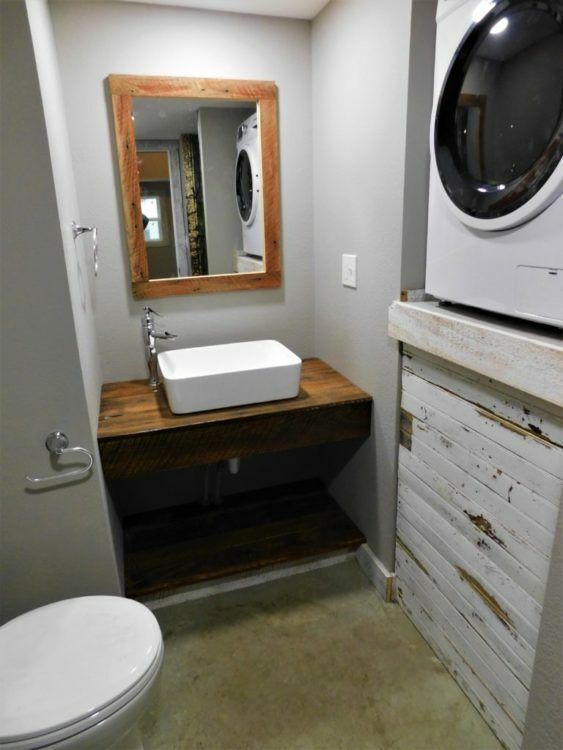 The majority of shower surrounds, vanities, interior trim, kitchen back-splashes were reclaimed for use in the tiny houses. The bedroom of the largest tiny house. 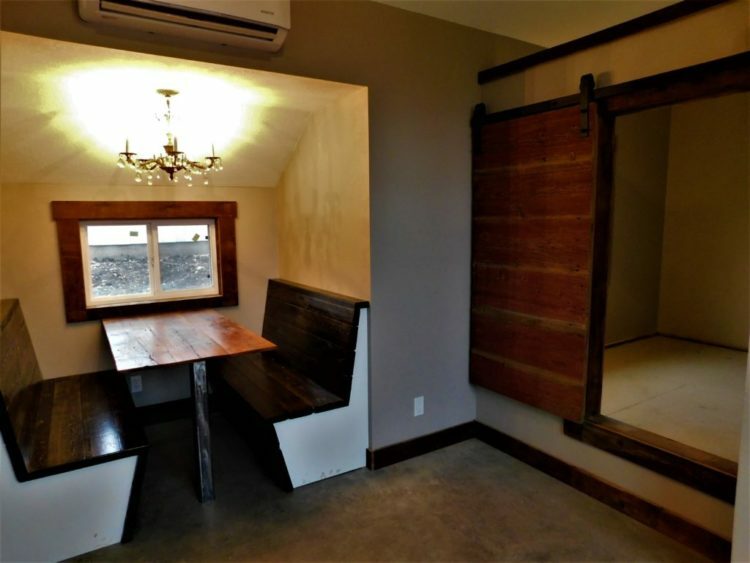 A kitchen booth with chandelier and a reclaimed barn-type door are featured in the smallest tiny house pictured. 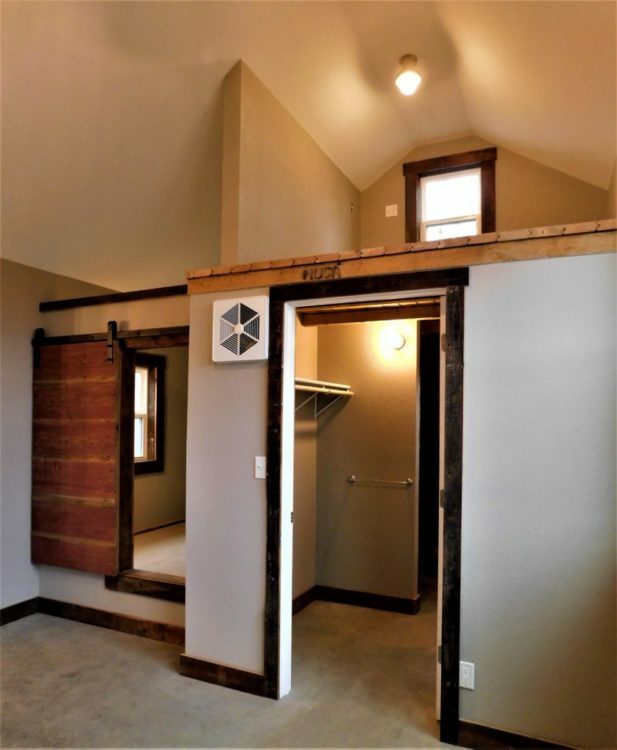 The door to the bedroom and bathroom, with a loft above in the smallest tiny house. The kitchen of the smallest tiny house. 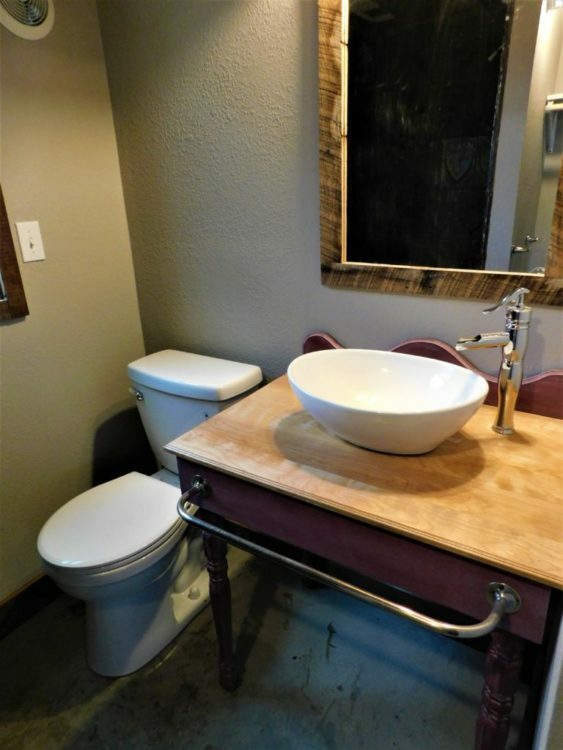 The bathroom of the smallest tiny house. 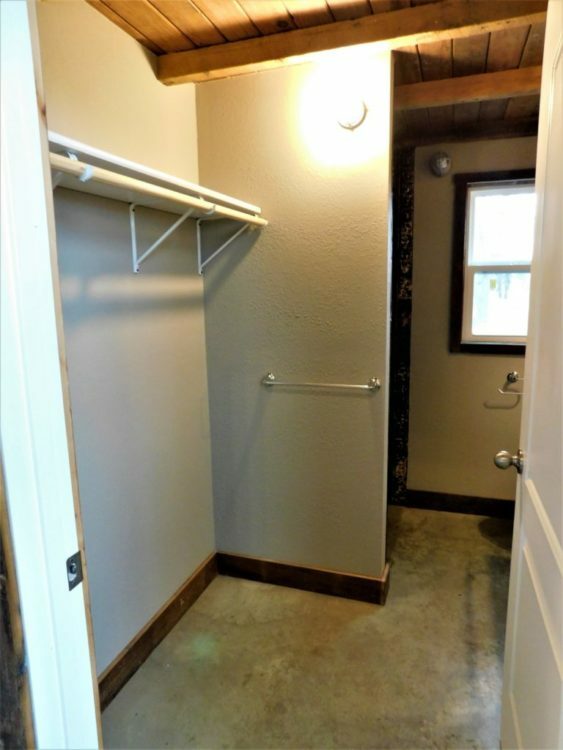 A pass-through closet leads to the bathroom in the smallest tiny house. 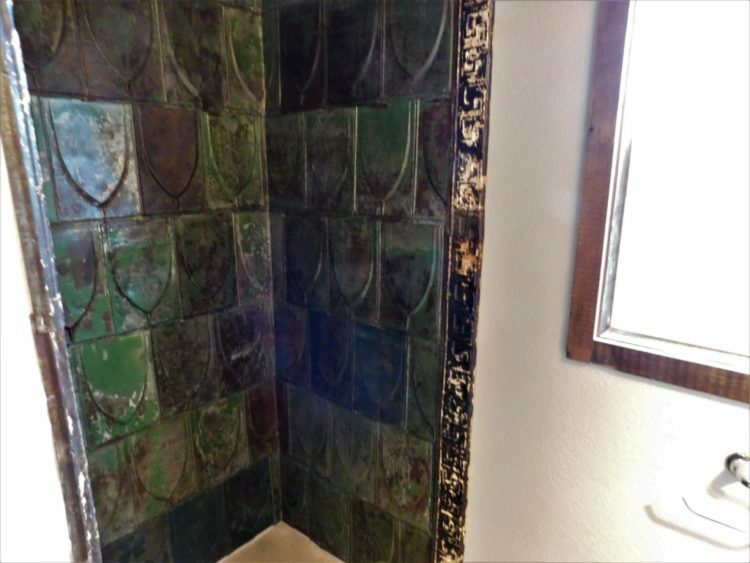 The unique shower surround in the smallest tiny house. Save $3,000 and get your choice of a FREE 46″ HD TV or a cafe table with chairs! 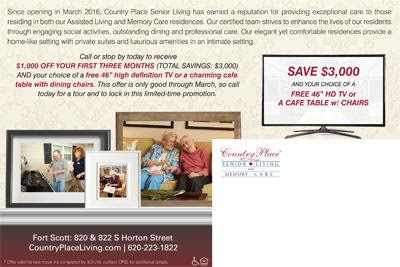 your choice of a free 46″ high definition TV or a charming cafe table with dining chairs. This offer is only good through March, so call today for a tour and to lock in this limited-time promotion. 820 & 822 S. Horton St. 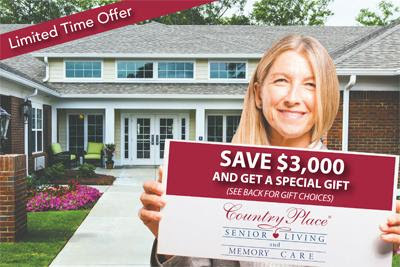 Since opening in March 2016, Country Place Senior Living has earned a reputation for providing exceptional care to those residing in both our Assisted Living and Memory Care residences. home-like setting with private suites and luxurious amenities in an intimate setting. A one bedroom apartment in The Fort Scott Lofts. Courtesy photo. A renovated downtown apartment complex has been renamed and had some age restrictions lifted as of January 1, 2019. 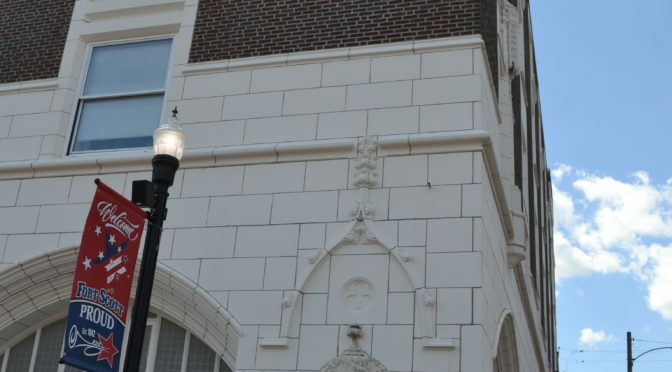 The building that used to house the Western Insurance Company, between National Avenue and Main Street in downtown Fort Scott, is now called The Fort Scott Lofts. Under the former name of the apartments, Western Senior Living, 80 percent of the residents had to be 55 years old, Wagner said, and 20 percent under 55. Western Senior Living opened in December 2016 following a major renovation of the building. Monthly rent starts at $370 for a one bedroom apartment and up to $625 for a two bedroom one, depending on income, she said. 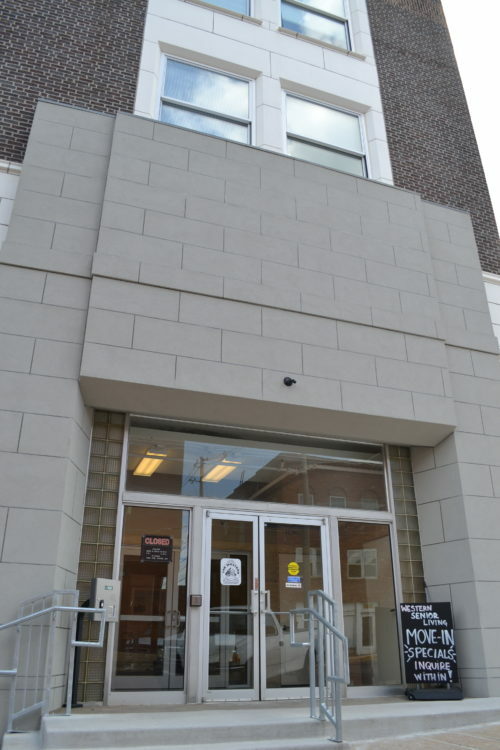 Wagner can be reached at 620-223-1718 on Mondays, Wednesdays and Fridays from 10 a.m. to 3 p.m. The apartments are not furnished, except for stove, refrigerator, microwave and dishwasher. Currently, out of 35, 11 apartments are available, Wheeler said. Some of the amenities are 120 channel Direct TV, water and trash are paid, Wheeler said. There is also an onsite laundry facility and off-street parking. There are perks for living downtown. A coffee shop, restaurants, and shops all within a few blocks. Residents get a front row seat for the parades that Fort Scott celebrates events with, and also for Good Ol Days, the annual community event. There are free local-artist outdoor music concerts just across the street in the summer, as well. The owners of the building are Flint Hills Management, LLC. A sister property, across First Street, will soon begin renovation of the old Union Building and will be called Union Lofts, she said. “I’ll be managing it, too,” Wheeler said. The Fort Scott Lofts, formerly Western Senior Living, 8 East First. This property on South National Avenue was one of the projects that the Good Neighbor Action Team helped with. The house is owned by the Youth Activity Team, who is remodeling it as a fundraiser. GNAT has put in around 40 man hours on the project so far, Craig Campbell said. 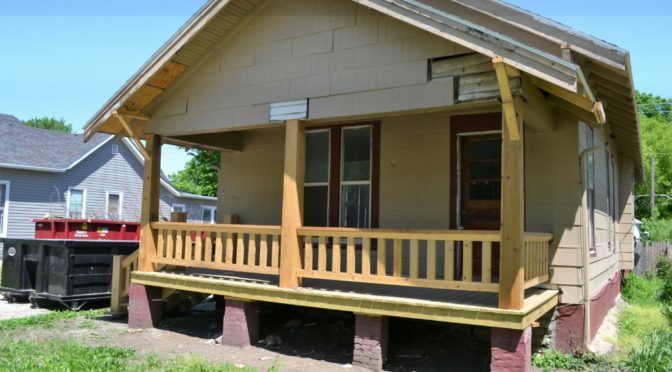 For over a decade the Good Neighbor Action Team has been helping Fort Scottians with painting, helping rid yards of debris, building handicap ramps and other needed projects. The team provides help for those who are not able to do the job themselves. “A lot of times, people need a truck or chainsaw to get debris off their property,” Craig Campbell, a member of GNAT, said. The volunteer group does all kinds of work, but GNAT doesn’t do roofs. “If people can’t provide materials or funds to help, we can help with that,” he said. “Funds come from donations from social clubs, for example, Pioneer Kiwanis, who is a constant donor to our cause,” he said. “When a group takes on a project, a church, for example, will help fill in the funding gap on the project they are working on,” Campbell said. Additionally, churches are a reliable source for providing volunteer workers for projects. “We get a lot of volunteers from churches,” he said. The volunteers are asked to give three hours of work per project. GNAT has tried to handle the project workloads using the model of Habitat For Humanity, he said. Work project recipients are asked to provide family and friends to assist GNAT workers. “We bring five people, you bring five people,” Campbell said. In addition, proof of income is required with one of the following: income tax return, pays stubs from the last two paychecks, a Vision card or Healthwave card. Applications can be picked up at the Beacon, 525 E. Sixth; the Chamber of Commerce, 231 E. Wall, or city hall, 123 S. Main. “You can return the application to the place you picked it up, or to Jara Martin at 824 S. Main,” Campbell said. Completion of an application, doesn’t guarantee acceptance of a project request. New Chamber Member Hawkeye Investments, LLC is Hosting an Open House This Friday and Saturday at 835 Scott Street! Hawkeye Investments, LLC buys properties to provide primarily residential rentals; we also buy properties for remodel and resale. 835 Scott Avenue is a residence we purchased and have totally remodeled over the past 7 months. It is listed with JR Stewart of Stewart Realty. This is one of several houses we have purchased over the past year; most are rented, and this is our first house for resale. 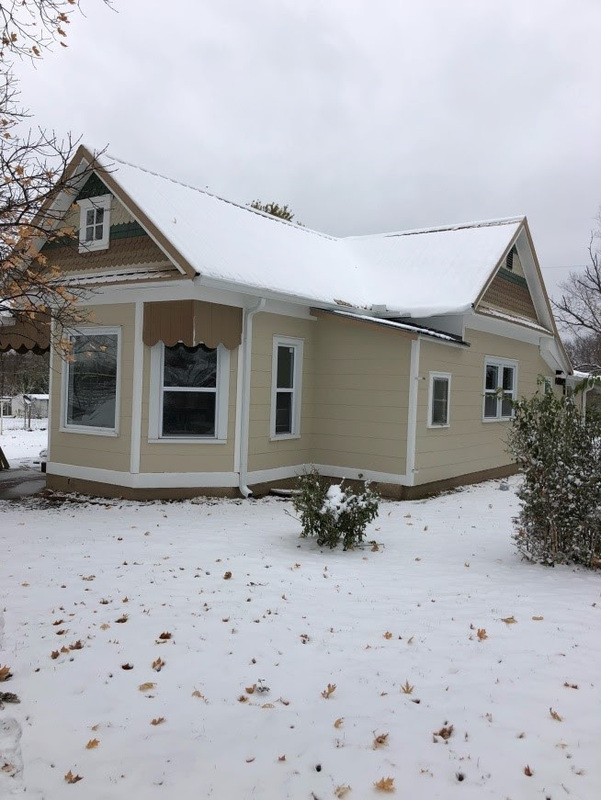 This bungalow style house, originally built in 1900, has been completely transformed into a modern house that still has that cozy bungalow feel. The master bedroom and bath are at the rear of the house, with 2 additional bedrooms at the front; the main bath and laundry are off of the kitchen, which is the centerpiece of the house. This house is located perfectly with Buck Run Community Center; the pool is 1/2 block north and the high school is 1/2 block south. Please join us at our open house Friday, November 16th, 11am-4pm or Saturday, November 17th 11am-4pm. We are serving hot cider, appetizers and sandwiches, and would love to show you our house. For more information on the Open House or on this property, contact Lori Lovelace at (620) 215-1314 or JR Stewart at (620) 223-6700. Long-time Fort Scottians Jerry Witt and his wife, Judy are trading in suburbia for living downtown. “Judy and I used to live in the Carriage House, at Third and Main, that Cheney Witt (Funeral) Chapel owns, while our house was being built…We loved living downtown,” Witt said. “My great-grandfather owned the Witt’s Chili Parlor downtown. I played on the old fort grounds as a kid,” he said. 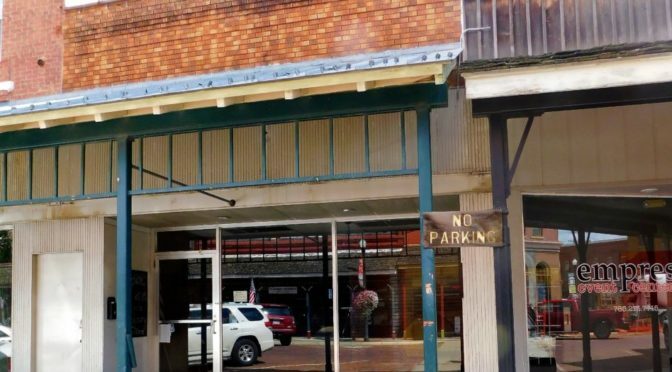 This summer he has been working with the Fort Scott Planning Commission and also the Codes Department to get plans finalized for the renovation of the downtown building. Recently he got approval from the city to proceed with the project. Currently, there is no projected timeline for the renovation, Witt said. The Fort Scott Planning Commission will meet on Thursday, July 12th, 2018 at 4:00 p.m. at City Hall, 123 S. Main Street, Fort Scott, Kansas. This meeting will be held to consider a change to the zoning ordinance regarding residential living in the Central Business and Commercial Districts. This meeting is open to the public. The City of Fort Scott will be closed on Wednesday, July 4th, 2018 in observance of the Independence Day holiday. The offices will reopen on Thursday, July 5th, 2018. Topeka- Governor Jeff Colyer announced today that Kansas will renew its alliance with Japan by rejoining the Midwest U.S.-Japan Association. Governor Colyer met with the Japanese consulate in April at the Capitol to discuss the relationship between Kansas and Japan and feels this partnership will be a good way to strengthen business and agriculture relations. Japan is an important export market for Kansas, traditionally ranking as one of the state’s top trading partners. Based on 2017 data, Japan is Kansas’ third largest export market, totaling $980 million. Kansas has also welcomed investment from Japanese companies such as Kubota, Kyodo Yushi, Takako, Gunze, Softbank, Yanmar, Sekisui, and Sumitomo. In early June, the Kansas Department of Agriculture will be participating in a USDA-led trade mission to Japan. Japan has been Kansas agriculture’s number two trading partner since 2014 and the goal of the trip is to strengthen the state’s relationship with Japan through this trade mission to Tokyo and Osaka. The trip will provide an opportunity to connect with potential customers and take part in briefings and site visits to learn firsthand about maximizing trade relationships with Japanese businesses. “Japan continues to be the top export market for U.S. beef. Strengthening ties with this important trading partner is beneficial for Kansas beef producers,” said Kansas Livestock Association Chief Executive Officer Matt Teagarden. “International trade markets are vital to the state of Kansas and the farmers and ranchers who call it home. Strong relationships with other countries can only help grow opportunities for Kansas farmers and ranchers,” said Kansas Farm Bureau president Richard Felts, a Montgomery County farmer. Bartelsmeyer’s loft apartment, pictured from the front, is above the Tribune Newspaper at 22-22 1/2 N. Main. 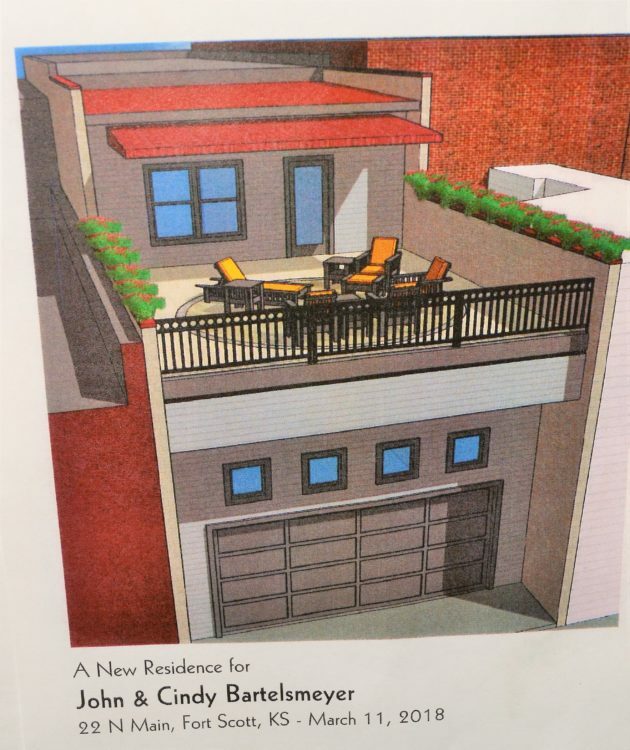 John Bartelsmeyer appeared before the Fort Scott Design Review Board Thursday to get approval for renovation of the alley side of he and his wife, Cindy’s loft apartment at 22-22 1/2 N. Main. 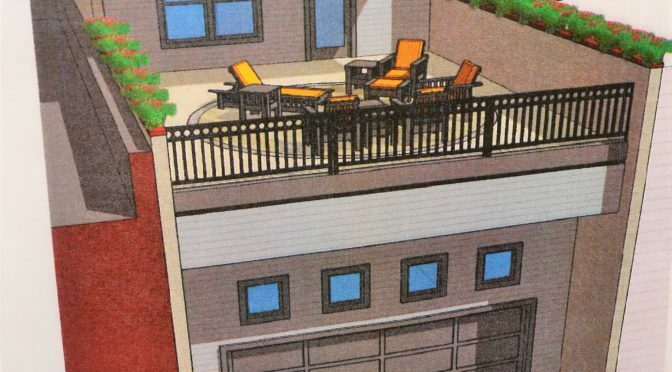 The City of Fort Scott Design Review Board met and approved alterations to John and Cindy Bartelsmeyer’s loft apartment. From left clockwise: City Clerk Diane Clay, John Bartelsmeyer, members of the board-Darren Crays, Shane Walker, Peggy Cummings and City Economic Development Director Rachel Pruitt. Not pictured are board members Arnold Schofield and Rick Zingre. 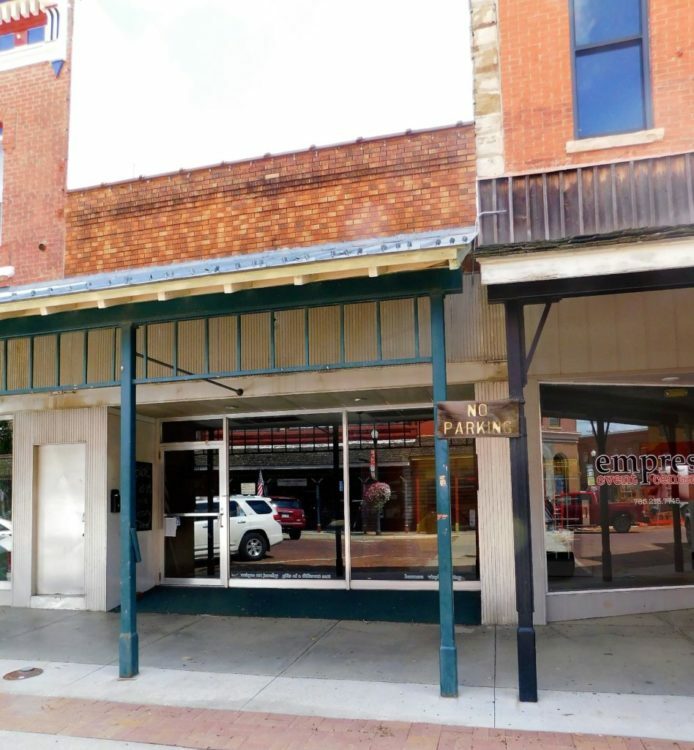 The board approved the certificate of appropriateness for the alteration of the Bartlesmeyer property, which is in the historic downtown Fort Scott district. 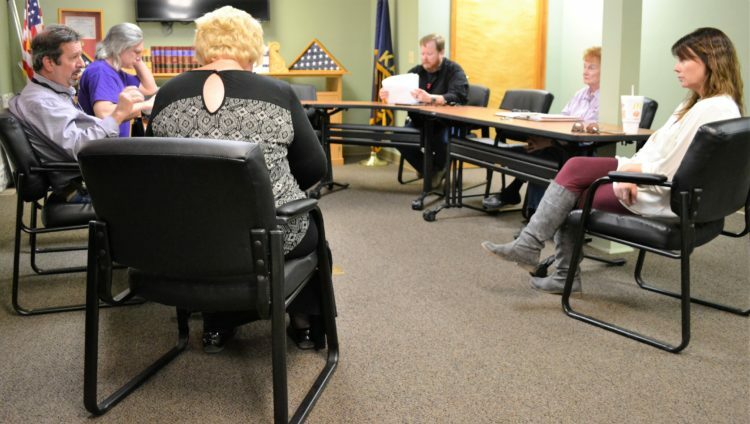 The function of the Design Review Board is to review requests for Certificate of Appropriateness in the historic district of downtown Fort Scott. They meet on an “as needed” basis. The Bartelsmeyers will add a garage on the first floor, and add a bedroom, entryway, and deck to the second floor. Concrete block walls will be on the north and south side of the addition. 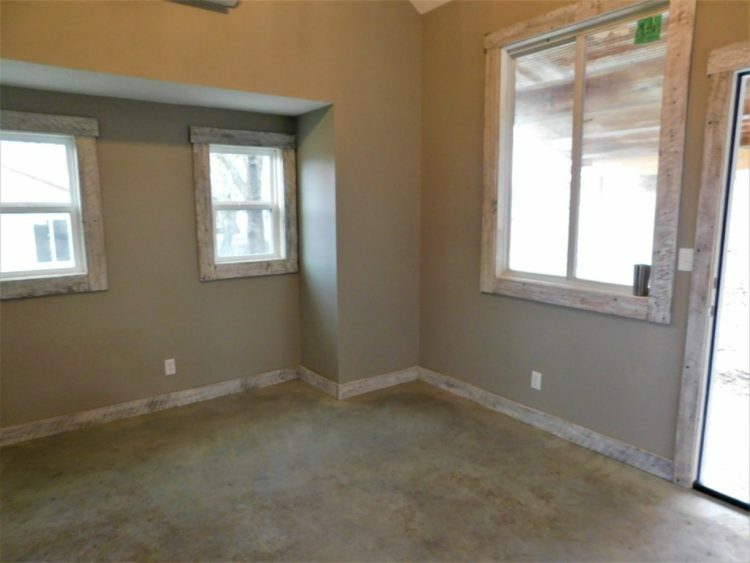 The garage door will be dark grey steel, as will the trim around the window and door, with a light gray wall siding. 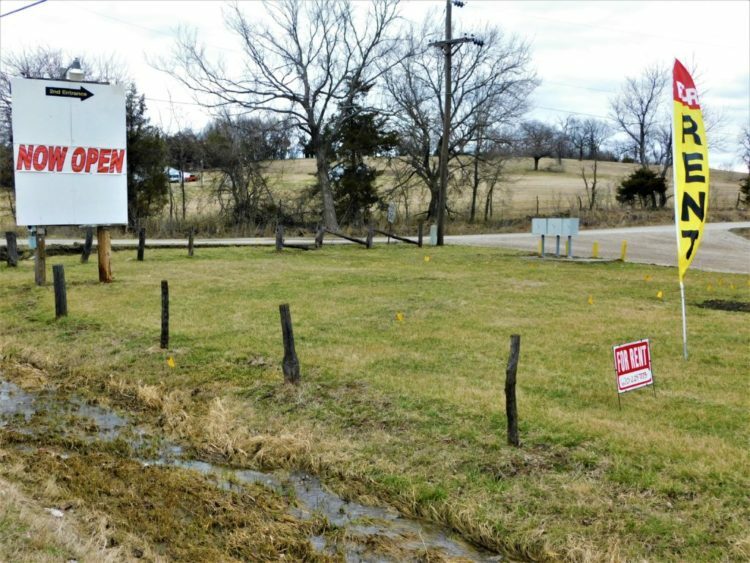 The approval of the addition will be finalized at the March 20 Fort Scott City Commission meeting, City Clerk Diane Clay told Bartelsmeyer. The future renovation depiction of the John and Cindy Bartelsmeyer loft apartment, from the alley behind. Zingre & Associates, PA of Fort Scott are the architects.